Happy Monday! Over the weekend the husband and I took our moms for a nice little getaway at Palm Springs. The weather was very similar to San Diego's but it was super cool to see the mountain tops filled with snow! 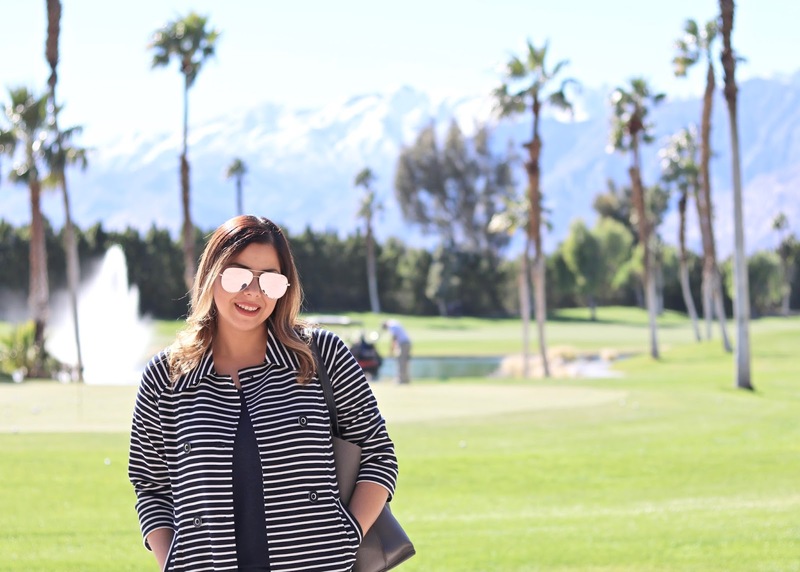 As far as attire was concerned, I had initially packed jeans and moto jackets but as I was about to leave, my order from the cabi Spring collection arrived and I repacked a couple outfits because they were much more fitting to the Palm Springs vibe. The cabi Maritime trench was high on my list this season because it is made out of the super comfy ponte material! 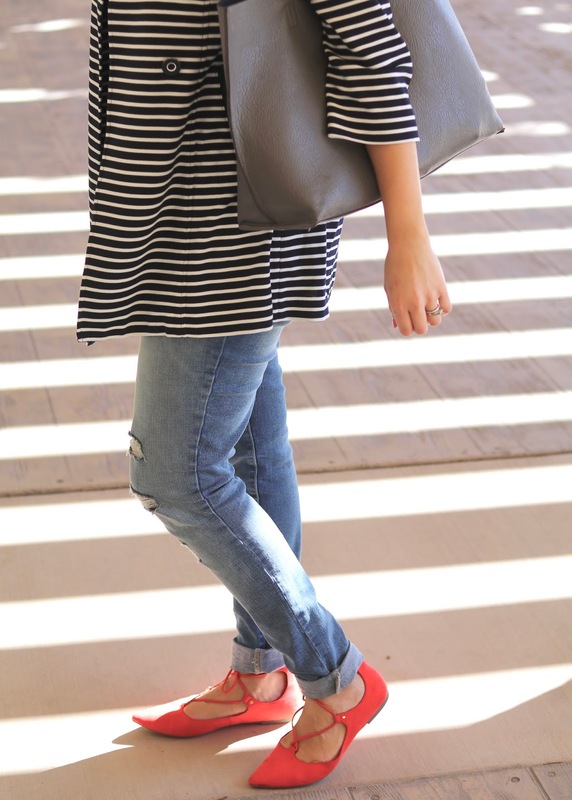 The stripes are super fun and the trench is very flattering (which breaks that whole stripes can be unflattering tip). I paired it with a comfy tee and flats to walk around town. We snapped these pics hastily because a certain someone *cough my husband* was going to go golf back there. All in all, we had a great time... the moms loved the casinos, the guys loved golf and us ladies enjoyed yummy food and drinks. love the pop of red in ur shoes! xO!